ActiveG MapEngine™ seamlessly integrates your enterprise Esri ArcGIS system with IBM Maximo Asset Management, with unparalleled ease and functionality, both for the implementers and the users. For 20 years, ActiveG MapEngine continues to bring Maximo and GIS together in ways that make it easy for you to get the most out of both systems. 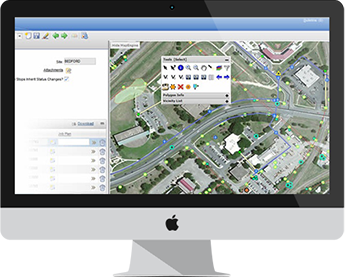 As Esri partners, ActiveG ensures that MapEngine always supports the latest and greatest version of ArcGIS Server. So you never have to wait to take advantage of the best new features from Esri. MapEngine’s flexibility and ease of configuration makes it perfect for a wide variety of different business processes and tasks. Whether your industry is focused on Water/Wastewater, Gas Transmission and Distribution, Electric T&D, Rail, Facilities Management, or something else, MapEngine can support your specific business requirements. MapEngine provides powerful, user-driven, query-based spatial search and reporting capabilities that visually unlock Maximo data for your users. Search Maximo spatially, using virtually unlimited parameters for a user-defined region or area on the map. 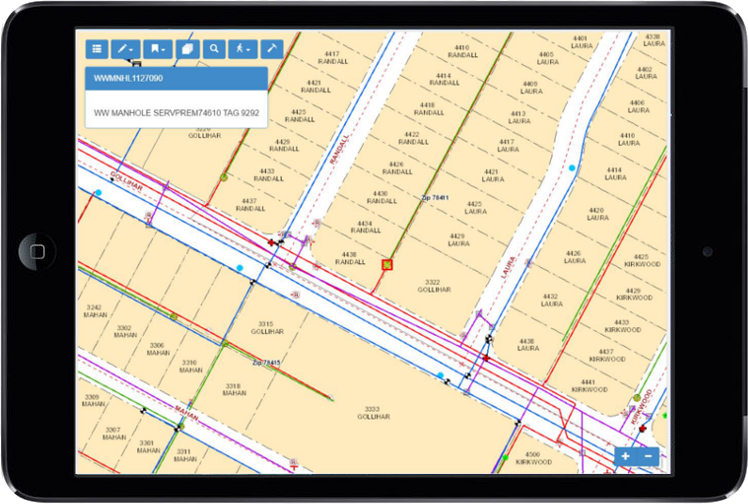 MapEngine gives you out-of-the-box mobile access to your maps connected to Maximo Everyplace*, so your field users can find and locate Maximo assets easily and accurately. With ActiveG MapEngine™ embedded in the Call Intake and Dispatching applications, Seattle Public Utilities’ operators now have the ability to select utility assets from the map based on an address query and to see existing work orders when entering a new call or work order. This has greatly reduced the time involved in entering calls and dispatching crews to respond to them.